1)USA PPG fluorocarbon coating,Sweden Berger fluorocarbon coating. 2)USA Dupont macromolecule sticking film or Japanese MISUBISHI macromolecule sticking film. 3)Germen original aluminum mirror,draw bench roll plate. 4)3003,5005high quality aluminum alloy plate. Outdoor wall decor,indoor wall cladding,bathroom,balconies,gas station,curtain wall,factory and office bulding decor and so on. Payment:TT/LC,30% deposit in advance,balance before the shipping. Samples:samples are free but the shipping. Package:in bulk (Full container load) or wooden pallet(Less than container load). 1.More than 11 years production experience,5 years export experience.Professional suggestions on popular thickness and color. 2.Professional international sales team,24 hours service for you. 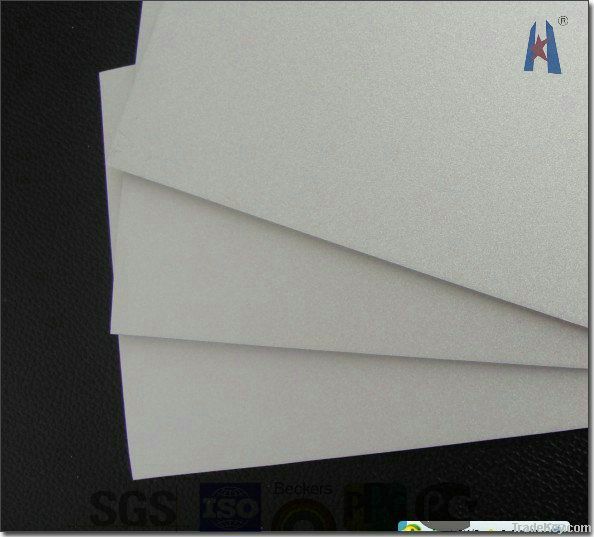 3.SGS,ISO9001 certificates of our ACP. 4.Professional LCL and FCL package & shipment. 5.Small MOQ of normal and popular colors;Can supply small quantity,such as 100sqm if we have the specification in stock. 7.Firm relationship with raw material supplier,ensure the leading time and quality. 8.Firm relationship with accessories suppliers,help customer to purchase other accessory,such as aluminum frame,silicon sealant,Explosive screw and so on. 9.Advantage Location,Guangzhou ,the city of Canton Fair.Near Foshan city,the biggest centre for architecture matetial,such as ceramic,door,winder,furniture,aluminum alloy and so on.